The seven heavens motif is found in many ancient cultures. In Plato’s time it was seven spheres Sun Moon Mercury Mars Jupiter Venus and Saturn. It’s found in the Babylonian culture. It was part of the Jahiliya Arab understanding. In these different conceptions the stars are attached to the highest heaven but in Islam it’s attached to the lowest heaven. This is definitive and explains what “samaa” ( السَّمَاءَ) means. It’s a container for the stars. Since Muhammad did not define the seven heavens wouldn’t it be fair to assume he meant the same thing as everyone else when he used that term in the Quran? Whenever we look at an ancient book that uses terminology that’s familiar to the people of the time we can assume it’s referring to the concept as they know it. Unless it defines it and says “no, this is not the seven heavens you understand but a different one” the recipients of the message would have assumed he meant the same thing everyone else meant. If you say “We don’t know what the seven heavens means” that’s not true. We find this theme over and over again in ancient cultures and cosmology. It is not an unknown by any means. From this verse it is clear Muhammad was calling them to something they already knew of, and using this to prove his God was the correct God. We cannot say this seven heavens is a literary device or a metaphor, because he’s using the common language and mythology of the time. You can’t just say it means nothing either, you are forced to acknowledge that it had a certain meaning. “Isra wal miraaj” (The Night Journey) makes a lot more sense now. They believed each of those “heavens” (i.e. planets) were like Earth. That’s how Muhammad met prophets on each level. We know from Muslim and non-Muslim scientists that the heliocentric model had not reached the Arabian peninsula. This means they thought the Sun and Moon went around the Earth (Geocentric model). 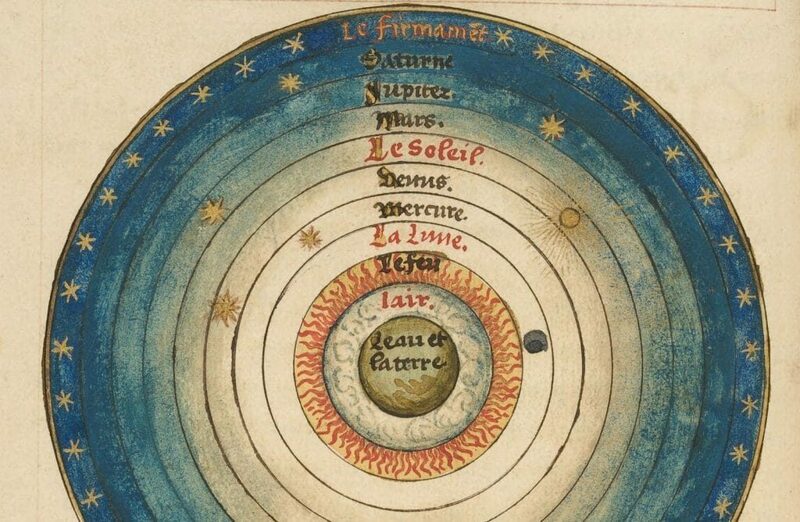 It wasn’t until Copernicus time that the world accepted the heliocentric model. The position that makes the most sense and requires the least amount of assumptions is Muhammad was writing what he knew. He was taking for granted the cosmology of the time and using this to promote his version of God.